The International Society for Transgenic Technologies (ISTT) is pleased to announce that the transgenic-list (tg-l) owner and administrator, Dr. Peter Sobieszczuk and the ISTT have just signed an agreement to transfer the tg-l from its current location, at the web server of the Imperial College (London, UK), to the ISTT web server. The tg-l was created by Peter Sobieszczuk in July, 1996, to serve the global research community specializing in genetic modifications of experimental laboratory animals. Since then, the tg-l has been hosted by three academic institutions: the IGBMC in Strasbourg, the University of Manchester, UK, and the Imperial College in London, UK where it is currently hosted. The ISTT would like to acknowledge the excellent work of Peter and his assistants in maintaining the list since its inception for the benefit of everyone who has been a part of this list. The tg-l has proven to be a valuable source of knowledge and advice, helping many newcomers to rapidly familiarize themselves with the field of animal transgenesis, and facilitating the exchange of protocols and experiences among all of its members. The ISTT, in accordance with one of its main aims, as expressed in the ISTT bylaws (Art. 3a), is most proud to host the tg-l for the benefit of the entire community of scientists, technicians, students and anyone else, in general, interested in animal transgenesis. At the ISTT server, the tg-l will continue being public (anyone may subscribe, including ISTT members and non-members alike), unmoderated (messages will not be altered by the list administrator) and closed (only subscribers may post messages). 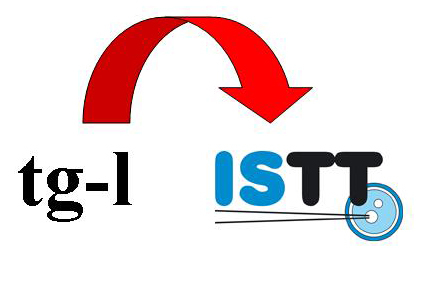 Subscription to the tg-l will also continue being free, automatic and very simple, from a suitable page that will be installed within the public area of the ISTT web server. The actual transfer of tg-l from the Imperial College to the ISTT web server will not occur until current agreements in place will be fulfilled. This is expected to occur by December 31, 2011 or, earlier, whenever possible. The actual transfer will be duly informed in subsequent messages that will be posted through the ISTT_list and through the tg-l. US President Obama named today Dr. Ralph L. Brinster (University of Pennsylvania) as recipient of the US National Medal of Science “For his fundamental contributions to the development and use of transgenic mice. His research has provided experimental foundations and inspiration for progress in germline genetic modification in a range of species, which has generated a revolution in biology, medicine, and agriculture“. The ISTT wishes to congratulate Dr. Ralph L. Brinster for this prestigious award. Here you can read the University of Pennsylvania Press release. Dr. Ralph L. Brinster receives this US National Medal of Science along with six other eminent researchers: Jacqueline K. Barton (California Institute of Technology), Shu Chien (University of California, San Diego), Rudolf Jaenisch (Whitehead Institute for Biomedical Research and Massachusetts Institute of Technology), Peter J. Stang (University of Utah), Richard A. Tapia (Rice University) and Srinivasa S.R. Varadhan (New York University). 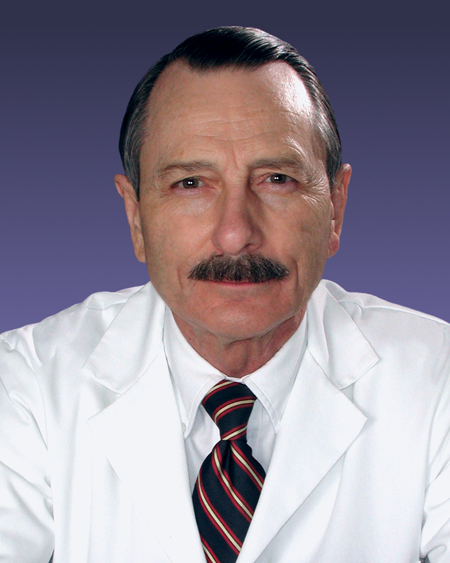 Dr. Ralph L. Brinster has received numerous awards in his career. The International Society for Transgenic Technologies (ISTT) will be awarding him the ISTT Prize “for his outstanding contributions to the field of transgenic technologies” during the forthcoming 10th Transgenic Technology (TT2011) meeting, to be held in St Pete Beach, Florida n October 24-26, 2011. The International Society for Transgenic Technologies (ISTT) is pleased to announce that has been approved as a new AAALAC’s Member Organization after our application we registered in July, with the massive support of ISTT members. AAALAC stands for the “Association for Assessment and Accreditation of Laboratory Animal Care”. AAALAC International is a private, nonprofit organization that promotes the humane treatment of animals in science through voluntary accreditation and assessment programs. AAALAC’s Member Organizations are a select group of prestigious scientific, professional and educational groups with an interest in advancing biomedical research and animal well-being in science. Each Member Organization appoints a representative to serve on the AAALAC International Board of Trustees. Most of our current understanding and genome research in mice has been based, so far, on the genome of the mouse inbred strain C57BL/6J, published in 2002 and accessible through a number of genome browsers, such as Ensembl. Yesterday, Keane et al. published in Nature the results of their sequencing efforts and the release of the genome sequences from 17 additional mouse inbred strains: C3H/HeJ, CBA/J, A/J, AKR/J, DBA/2J, LP/J, BALB/cJ, NZO/HlLtJ, NOD/ShiLtJ, 129S5SvEv<Brd>, 129P2/OlaHsd, 129S1/SvImJ, C57BL/6NJ, and the four wild-derived inbred strains CAST/EiJ, PWK/PhJ, WSB/EiJ and SPRET/EiJ. This is an enormous amount of information, obtained using next-generation sequencing, that these researchers from The Wellcome Trust Sanger Institute and other collaborating institutions now release to the public scientific community. Most of these inbred strains are very relevant in biomedical research and they are regularly used for the generation of genetically-modified mice. Notably, among them the C57BL/6NJ inbred strain, selected by the International KnockOut Mouse Consortium (IKMC) to produce the collection of systematic gene knockouts covering the entire mouse genome. This publication and the subsequent analyses derived from this study should greatly contribute to our understanding of the genetic diversity among different mouse strains and the different phenotypes that are often observed across inbred strains, associated with identical genetic modifications. The International Society for Transgenic Technologies (ISTT), is pleased to announce the co-sponsorship of the I International Scientific Meeting for the Optimization of Murine Models in Research, that will be held at the Centro de Estudios Cientificos (CECs), in Valdivia, Chile, on 24-26 January 2012. This meeting is organized by Juan Manuel Baamonde (CECs, Chair), and the ISTT Members Fernando Benavides (MD Anderson CC, Smithville, TX, USA) and Jorge Sztein (NIH/NIAID, USA), along other CECs scientists. The meeting will be followed by the III Practical Course CECs: Mouse sperm freezing according to JAX method, coordinated by Dr. Jorge Sztein, on 27 January 2012. Talks will be given in Spanish, Portughese or English. ISTT members are entitled to a reduced registration fee, both for the meeting and the course. The practical course is limited to 15 participants. Early bird registration deadline is October 15, 2011. The International Society for Transgenic Technologies (ISTT) is most pleased to announce the publication of its first book, entitled “Advanced Protocols for Animal Transgenesis. An ISTT Manual“, edited by Shirley Pease and Thom Saunders, and published by Springer (2011), in collaboration with the ISTT. This laboratory manual provides almost all current methods that can be applied to the creation and analysis of genetically modified animals. The chapters have been contributed by leading scientists, most of them members of the ISTT, who are actively using the technology in their laboratories. Based on their first-hand experience the authors also provide helpful notes and troubleshooting sections. Topics range from standard techniques, such as pronuclear microinjection of DNA, to more sophisticated and modern methods, such as the derivation and establishment of embryonic stem (ES) cell lines, with defined inhibitors in cell culture medium. In addition, related topics with relevance to the field are addressed, including global web-based resources, legal issues, colony management, shipment of mice and embryos, and the three R’s: refinement, reduction and replacement. This book comprises 26 chapters, 109 illlustrations and 669 pages. ISTT Members are entitled to purchase this ISTT Manual with a 33% discount, through the members-only area of the web site.